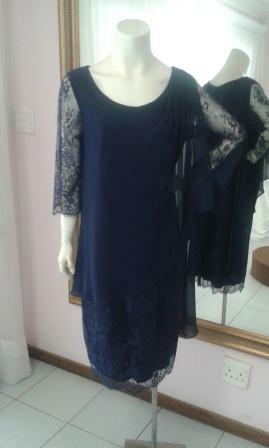 Lovely navy blue dress for mother of the bride / groom, size 42 available at Yourday Bridal. All dresses under one roof! Close to Kolonnade shopping centre and Wonderboom Junction, Pretoria North or Wonderpark shopping centre, Lynnwood, Menlyn, Brooklyn, Pretoria East.